You'll be getting so many it's almost unfair. There is no other product on the market like this, and you will receive the first edition today for free. If you choose to stay on as an Ultimate Attraction Transformation Series member, you will be charged $37 per month for each new issue for as long as you decide to remain a member. You can cancel at any time. This is a one time payment there will be no monthly charges on your credit card. Click the link below, fill in your information, and you’ll get instant access to Meet Your Sweet and all free bonuses. Your order is backed by our 60-Day, No-Questions-Asked, 100% Satisfaction Guarantee. 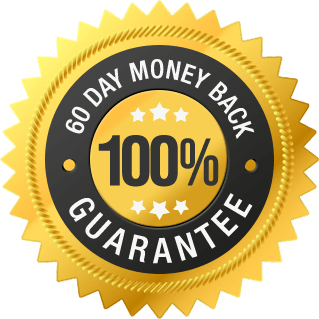 If you are not 100% satisfied with the program, simply email us within 60 days for a full refund. I look forward to hearing of your success with my course. CLICKBANK © is a registered trademark of Click Sales, Inc., a Delaware corporation located at 917 S. Lusk Street, Suite 200, Boise Idaho, 83706, USA and used by permission. ClickBank's role as retailer does not constitute an endorsement, approval or review of this product or any claim, statement or opinion used in promotion of this website or product.